Amherstburg Fire Department maintains a very close relationship with its Windsor & Essex County neighbours. We participates in a mutual assistance program wherein various fire services provide additional manpower, equipment and support in the event of a major event. 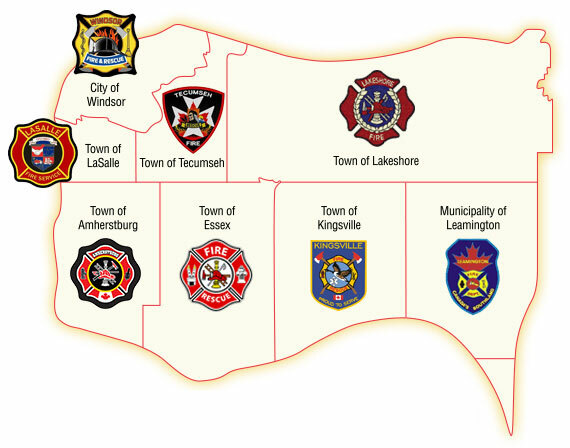 The map shows the various fire services throughout Essex County and the directory below the map provides links to the Fire Service web pages as well as their respective Municipal websites.